Randy Askea (pronounced AS-kay) of Continental Pipe Services (CPS) in Marietta, Georgia got his start in the wastewater management industry in 1975. He worked for a pipeline services contractor for about six years, then went into business for himself in 1981. CPS offers pipeline cleaning, inspection (mainly video), chemical grouting and sealing, manhole restoration, and wet well rehabilitation. They do pressure testing, vacuum testing of manholes, and generate reports on these tests. At one point, this work supported a staff of twenty employees. When the economy tanked in 2008, Randy had to make some difficult choices. “We downsized when the economy got bad. We were forced to lose quite a few people, so we’re down to about four now.” As for so many other businesses, it was a tough time for CPS, but things are improving. 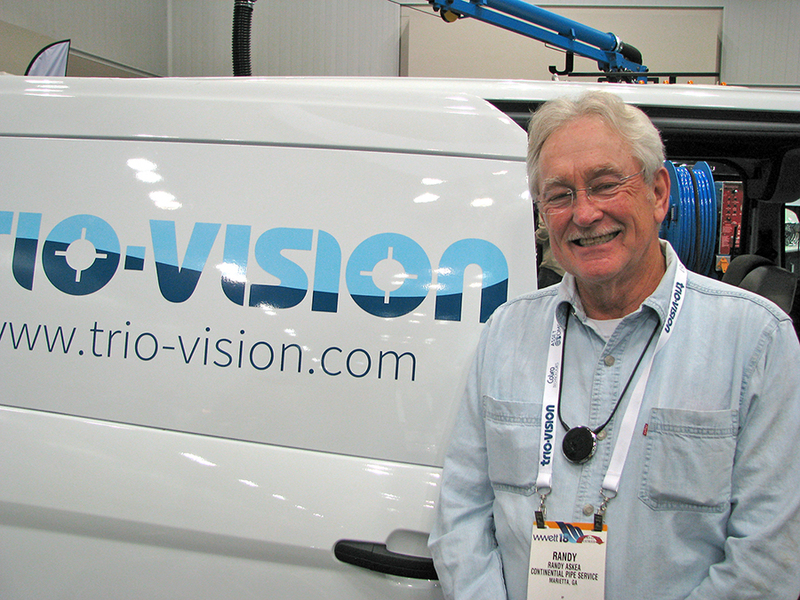 As of the 2018 WWETT Show, Randy had just bought a brand new TrioVision CCTV inspection truck. “We have an older TV truck van as well,” he says, “and I have one of the Cobra portable units that I can load onto a pickup truck, and go to places that most people can’t in the industry.” With that new equipment and capacity available, CPS has put a new crew to work, now that the economy’s picked back up in their area. CPS currently runs a total of five vehicles: Two mobile jetters, two televised inspection trucks, the previously mentioned mobile one, and the little portable inspection unit. The portable goes on a Bobcat 4-wheel drive. “I can throw it on there, then on the trailer,” to make it super-portable and handle jobs in tighter, trickier locations. One place CPS really likes to use that portable setup is when they get contracts to work on new dam installations. “There were 48 dams that were to be laid down across Tennessee last year,” Randy remembers. “We inspected the overflow pipes. We just picked up another contract in Culpeper, Virginia, to inspect 11 more dams.” Those contracts usually come as a package deal for several dam locations. He also enjoys the convenience of working with our Georgia headquarters. “The Cobra office is about three miles from that Culpeper location, making maintenance easy. I can run by, pick up a part…they can fix any issues I have. 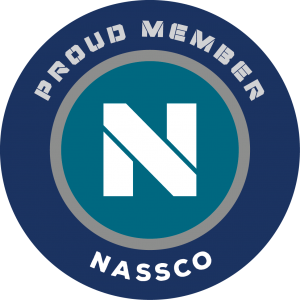 It keeps me out on the job, making money.” That’s important to a small business, running on tight margins in a competitive field. And the workplace is hard on everyone’s equipment. “It’s a very demanding environment. When you drop a camera down two lines, you run back and forth all day long, and you’re beating on the equipment pretty bad. I don’t care whose camera you’ve got, it needs to be able to take that and still perform. “But when things do break, you also want to be able to fix it quick and get back to work. One thing I like about Cobra: Almost every part on it seems to be a standard thread or whatever. I can go to a hardware store or Home Depot, and get the nuts and bolts and things that haven’t been specialized to the point where you’ve got to call the factory.” He appreciates that this ease of maintenance is also reflected in the ongoing price of ownership. He feels that his business is made a priority by his customer sales rep, who maintains ownership of the account long after each sale. He has had some issues through the years, when Cobra service has said, “If it comes to the point where we haven’t fixed it and you need to get back on the job, here’s a loaner camera you can take to get back to work.” But he’s never had to exercise that option. And that’s what we like to see.